I just love this bright and happy card! Definitely brings a smile to my face:) What a great idea to use the two colors of felt for the hills, looks awesome! 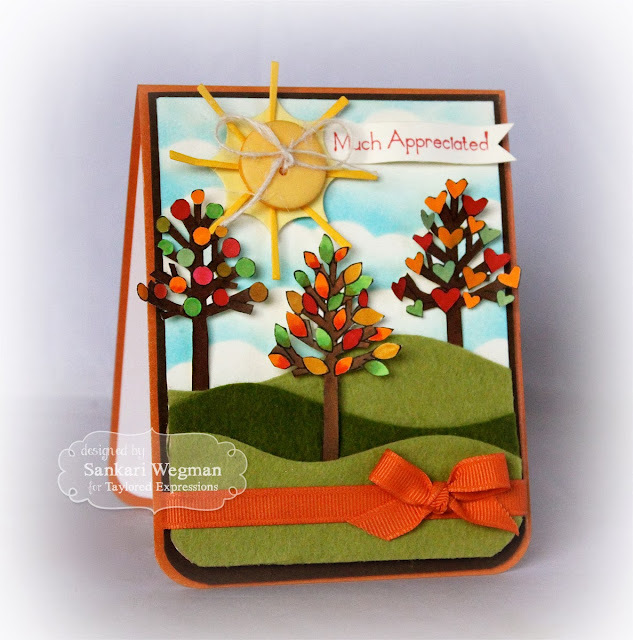 Gorgeous fall scene, Sankari! 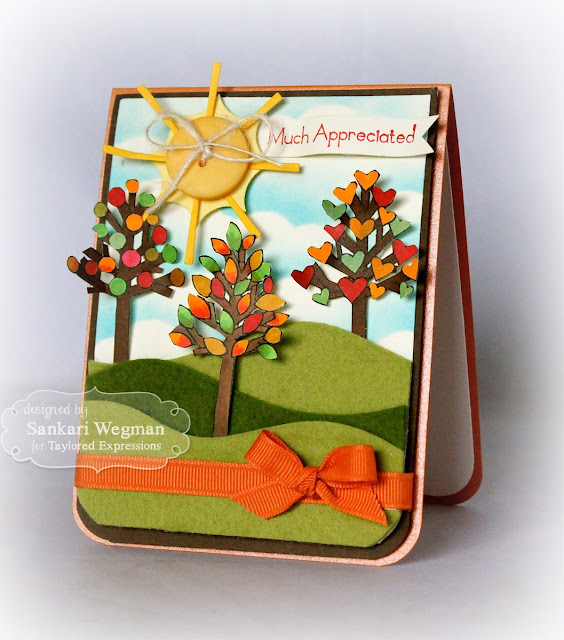 Love the mix of trees, so fun and happy! Completely gorgeous and wonderful! LOOOOVE those autumn trees and the rolling hills. SO pretty! This is such a beautiful fall scene, Sankari!!!! 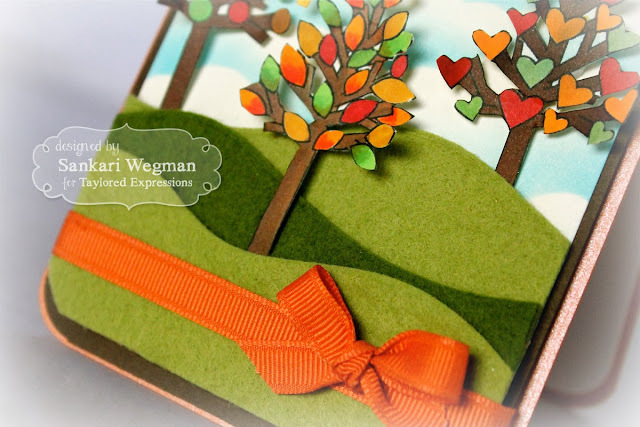 The three trees are soooo pretty and I just love your rolling felt hills....the bright orange ribbon and the lovely cloudy sky are such wonderful finishing touches!!! That card is absolutely gorgeous!! 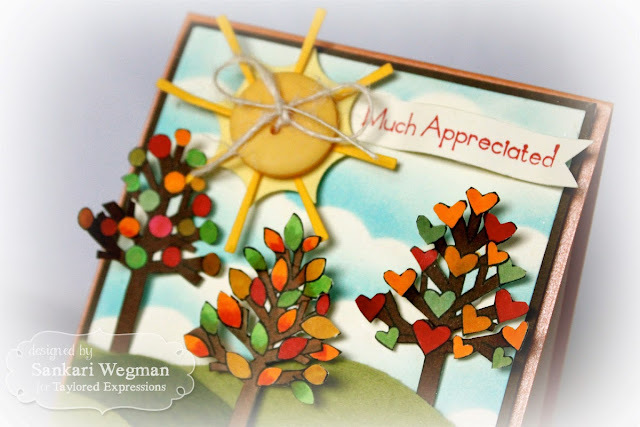 I love all the "fall" colors of the trees - great job.